Everyone desire to have thick and beautiful hairs. To have healthy hair needs a lot of patience and caring. The health of your hairs depends on your eating habits, lifestyle, environment, and pollution etc. It is understandable that you cannot control on environment and pollution but you can improve your diet and can change your lifestyle a bit. There are many natural remedies boost your hair growth and control hair fall. Aloe vera is one such remedy which can be used in many ways to increase the growth of your hair and control hair fall. Aloe vera is full of nutrients which help to nourish your hairs. This natural herb is also called medicinal aloe, burn plant and in Ayurveda, it is known as Gheekumari. 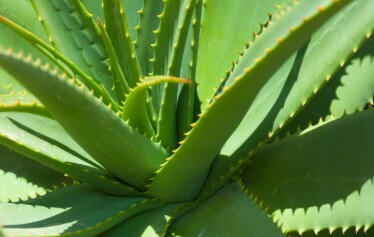 In Ayurveda, aloe vera has a very special place and used to cure many health issues from constipation to diabetes. It contains antibacterial and antiviral properties. Aloe vera is also widely used for beauty products and it also helps to enhance skin tone. Are you tired of trying so many shampoos, oil, and serum for hair growth and hair fall control? Then you should try aloe vera because it contains proteolytic enzymes that help in hair growth and fall control. You will be surprised to see the result within one month of use. Aloe vera can be used in many ways. It is an ultimate natural herb which can cure almost every issue you have with your hairs. Egg contains protein and required fats to boost your hair growth and nourish them. Aloe vera with works as natural hair conditioner which make your hair strong and shiny. Take one egg yolk, four teaspoons of fresh aloe vera gel and three teaspoons of olive oil and mix them well into a paste. Apply this mixture on your hairs and root with your figure or brush. Now cover your head with a shower cap or you can leave it open for half an hour. Wash your hairs with cold water and shampoo to remove egg smell from your hairs. Repeat this remedy twice in a week. Coconut oil is widely used for hair care. But many people are not aware of the benefits of coconut milk in hairs also do wonders. It helps to nourish your hairs root and make them stronger. Using it with aloe vera gel help to increase the hair growth. Take four teaspoons of aloe vera gel, four teaspoons of coconut milk and one teaspoon of coconut oil and mix them well in a bowl. You can increase or decrease the quantity according to your length but it should be in ration 4:4:1. Apply this mixture on your hairs and scalp properly with your finger. Leave it for at least 30 minutes and then wash it off with cold water. You can wash your hair with shampoo and apply conditioner. Make sure you use chemical free shampoo and conditioner. Lemon is a good source of vitamin C which helps in maintaining the pH level of your scalp. It helps to remove bacteria and increase collagen level which is very important for hair growth. Mix two teaspoons of lemon juice and four teaspoons of aloe vera gel in a small bowl. Apply this mixture on your scalp properly. Leave it for 30 minutes then wash your hairs with cold water. You can use herbal shampoo to wash your hairs and conditioner once your hair gets dry. Repeat this remedy 3 times in a week. Henna is a very popular home remedy for hair growth and hair fall control. 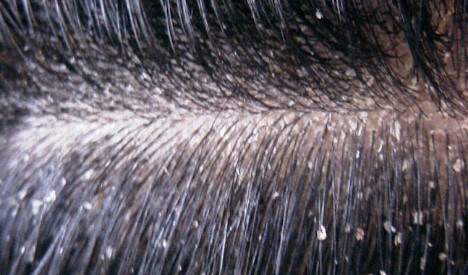 It is also used to color hairs and help to hide gray hairs. It became more effective if it used with aloe vera gel. To prepare henna hair pack you need 2 small cup henna, one teaspoon of aloe vera gel, and two teaspoons of plain yogurt and one teaspoon of olive oil. Mix all the ingredient well to make a thick paste and leave this paste of for two hours. Apply this paste on your hairs after 2 hours. Your scalp should be cover with this hair pack completely. Then wash your hairs after 2 hours. Use herbal shampoo and conditioner to wash your hairs. Repeat this remedy once or twice in a week. Neem oil is a wonderful natural remedy to control hair fall and nourish hair roots. It has antibacterial and antifungal properties which help to maintain the pH level of your scalp. 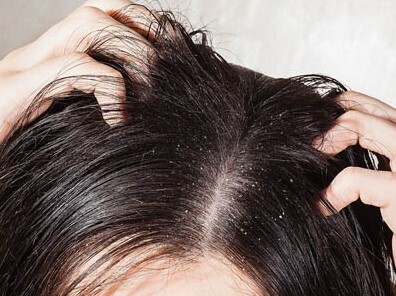 This remedy also helps to get rid of dandruff. Take two tablespoons of aloevera gel and ten drops of neem oil. Mix both ingredients well in a paste. Massage this mixture on your hairs root for 5 minutes. Leave it for two hours or overnight. Wash your hair with chemical free shampoo in the morning. Repeat this remedy twice a week for a better result. Amla is well known natural herb for hair problems. It nourishes hair and makes them stronger. A mixture of aloe vera and amla help to prevent gray hair and make your hair thicker. Take an iron bowl full of amla juice and leave it overnight. Then add a small cup of aloe vera fresh gel in stored amla juice. Keep this mixture for a week before you apply on gray hair. After one week massage this mixture on your hair for 5 minutes. Leave it for 30 minutes and then wash it off with cold water. Use this remedy twice in a week for three months to get the desired result. Curd has antibacterial and antifungal properties which help to nourish your scalp. Using aloe vera with curd also help to cure frizzy hair. Mix 5 teaspoons of aloe vera gel, 5 teaspoons of curd and 6 teaspoons of coconut oil in a bowl. 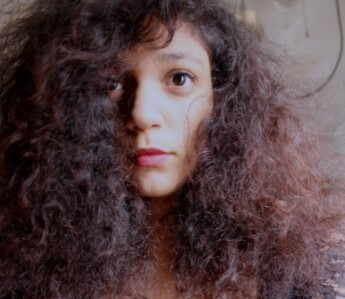 Apply this mixture to your hair and leave it for half an hour. Wash your hair with herbal shampoo and use chemical free conditioner. Repeat this remedy twice in a week until you get the desired result. One of the best home remedy for hair growth and hair fall control. Use fresh aloe vera gel or you can use Patanjali aloe vera gel for hair growth which 100% natural. Take one bowl of fresh aloe vera gel and two tablespoons of castor oil. Mix both natural ingredients well. Massage your hair with this mixture for 5 minutes. Make sure you apply this mixture to hair roots. Leave it for overnight then wash your hair with herbal shampoo in the morning. Use this remedy 3-4 times in a week for months. Onion juice with aloe vera works wonder for your hair. This natural home remedy help to control hair fall, boost hair growth and kill dandruff. Extract one cup of fresh onion juice and add two tablespoons of aloe vera gel into it. Mix both ingredients well and massage on your hair for 5 minutes. Leave it for two hours and then wash it off with cold water and shampoo. Use this remedy three times a week for a better result. You can use aloe vera gel with shampoo whenever you take shower or wash your hair. It is a very simple home remedy for hair growth. Extract the fresh gel from aloe vera plant or you can buy Patanjali stores or any other aloe vera gel from the market. Mix one tablespoon of gel in two tablespoons of mild shampoo. Apply this mixture to your hair and leave it for 2-3 minutes. Wash it off your hair with cold water. You can also use aloe vera gel the same as a conditioner after shampoo. It will make your hair smoother and nourish them. 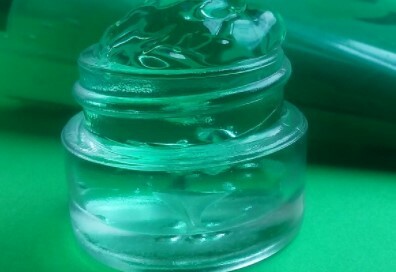 Always try to use fresh aloe vera gel for a better result. Triphala is an ayurvedic herb which contains Vitamin C and anti-oxidant properties. It also helps to cure dandruff and control hair fall. It has antifungal properties which help to maintain your scalp pH level. Boil a mixture of one tablespoon of Triphala powder and two cups of water until it reduced to half. Let it cool down and add two tablespoons of fresh aloe vera gel. 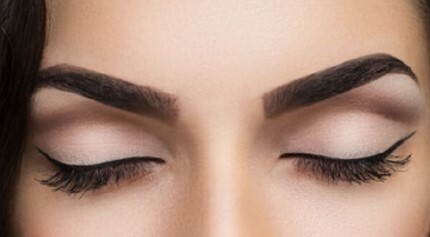 Massage your hair with this mixture for 5 minutes and leave it for one hour. Wash your hair with mild shampoo and use conditioner. Use this remedy three times a week for fast result. Fenugreek seeds help to open your hair follicles and make hair root stronger. It will also control hair fall and help in getting rid of dandruff. Take one cup of seeds and soak them in water for overnight. Now make a paste of soaked fenugreek seeds by grinding them. Extract two tablespoons of fresh aloe vera gel and add in the seeds paste. Apply this mixture on your hairs and scalp properly. Leave it for one hour and then wash your hair with mild shampoo. Repeat this ayurvedic home remedy 3-4 times in a week. You can also use aloe vera gel with tea tree oil to for hair growth and hair fall control. This remedy will help to keep your scalp hydrated and nourish your hair roots. Take two teaspoons of aloe vera gel, one teaspoon of tea tree oil and one teaspoon of rose oil. Mix all the ingredient well and massage on your hair for five minutes. Leave it on your hair for 30 -40 minutes. Wash your hair with mild shampoo and apply conditioner. Repeat this remedy 3 times in a week. Using basil with aloe vera gel will keep your hair hydrated and nourish them. If you have damaged and dry hair then this remedy best way to treat them. Take a half cup of aloe vera gel and add one teaspoon of basil powder, two teaspoons of powdered fenugreek and two teaspoons of castor oil. Mix all the natural ingredient well into a paste. Apply this mixture on your scalp and focus on the roots. Cover your hair with shower cap and leave it for overnight. Wash your hair with water and mild shampoo in the morning. Use this remedy twice in a week. Jojoba oil is widely used in Ayurveda for hair fall control and growth. It has antifungal properties and contains vitamin E, omega fatty acid etc. which helps to open blocked hair follicle and increase hair growth. Mix aloe vera gel in jojoba oil and apply on your hairs thoroughly. Leave it for two hours or overnight. Wash it off in the morning with mild shampoo and use conditioner. You can use this ayurvedic remedy 3 times a week. Aloe vera helps to open blocked follicle and improve hair growth. Using aloe vera help to keep your scalp moist. It helps to maintain a good level of pH of your scalp. It also removes scalp itching and irritation due to its anti-inflammatory properties. Aloe vera removes dandruff and flaking from hair. Beautiful hair helps to enhance your beauty and confidence. If you take care of your hair then you can protect them from damage. A healthy diet and proper care can stop hair fall and help you to save money from a hair transplant. Aloe vera is easily available natural herb which can protect your hair well. There are many effective ways to use aloe vera gel for hair growth and hair fall control. Leave your comment and suggestion in the comment section.